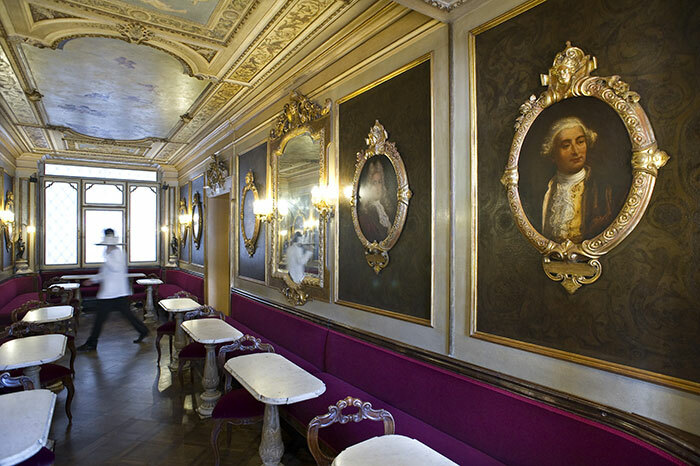 Venice springs from the the water and the Caffè Florian, like the lagoon city, requires frequent maintenance. 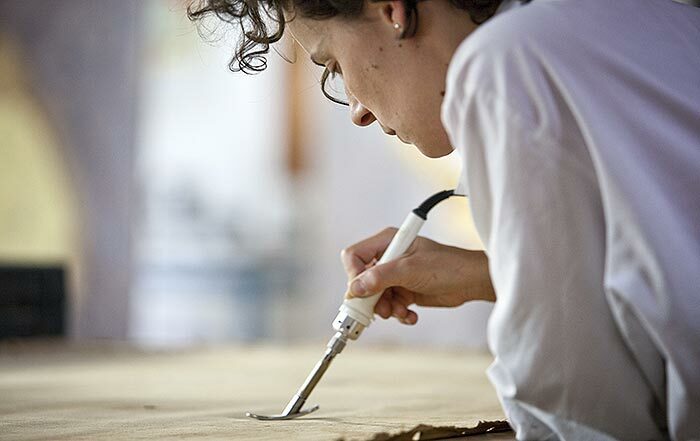 Over the years, all its beautiful Rooms have been restored, without government grants. 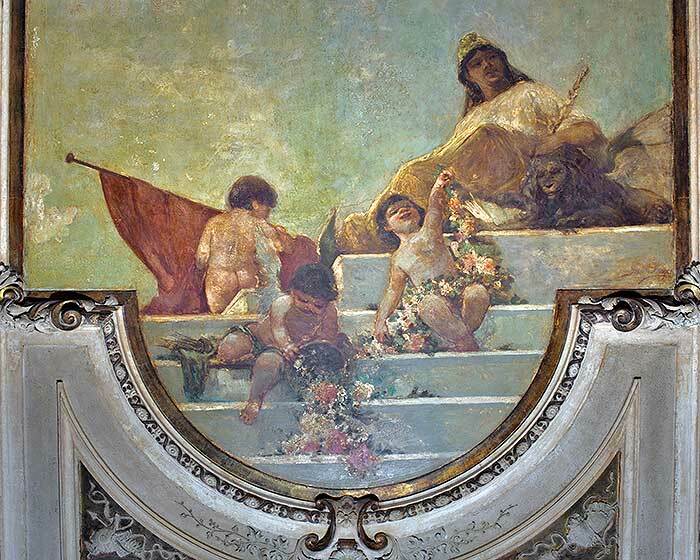 The restoration works started in 2004 with the Sala delle Stagioni (Room of Seasons) and ended in 2012 with the Sala degli Uomini Illustri (Room of the Illustrious Men), whose walls, over the centuries, had been covered with a gray patina due to the tobacco smoke of the cigars and the gas burned for illumination. 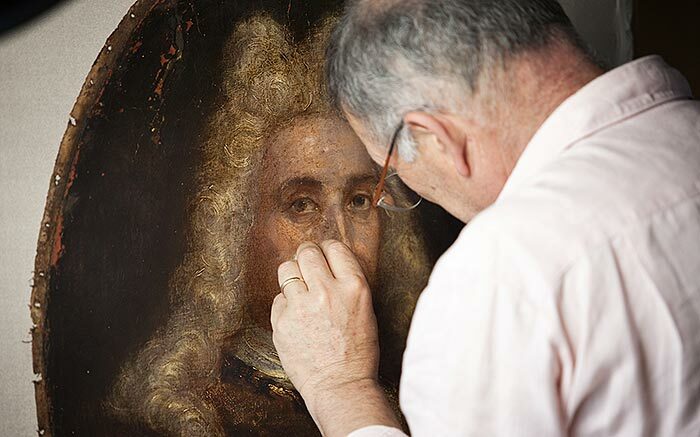 The restoration works started with a test to determinate the best way to proceed with the cleaning and were carried on with meticulous attention. 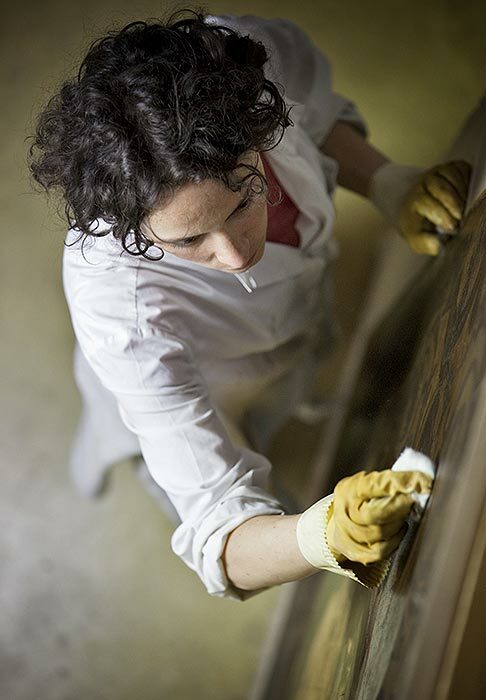 First, the dirt and oxidized paint that altered the surfaces were removed. 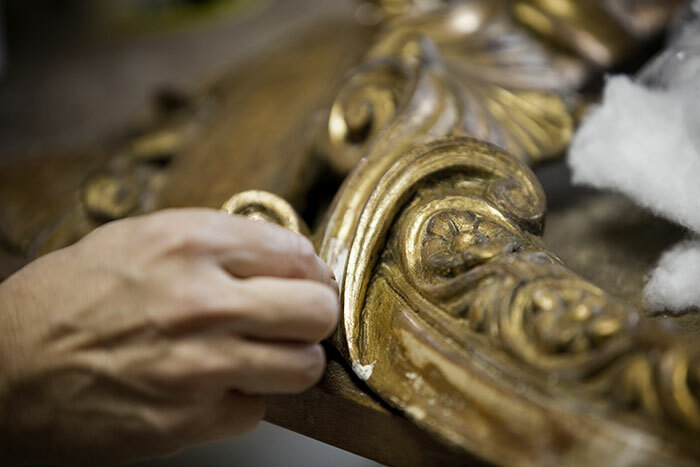 The removal of all the overlying layers from the crowning cornice, unexpectedly revealed an embellishment: a gilded imitation of embossed-leather wood, an ancient decorative wall facing technique, an art that achieved its highest expression of excellence in Venice since the Middle Ages. 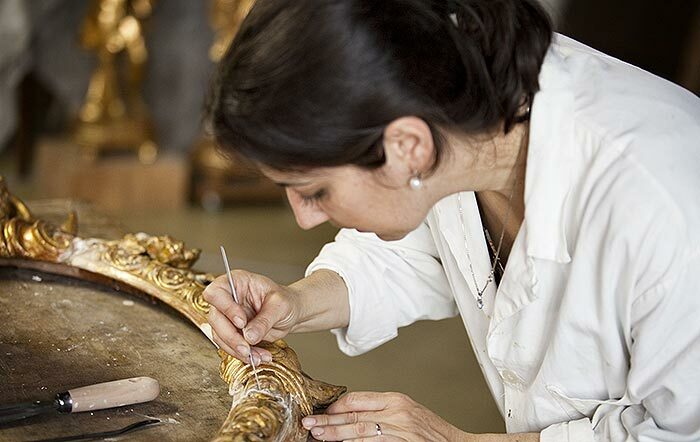 The decision to restore only one section of this imitation-leather decoration was, in fact, difficult to make but practically compulsory due to the resistance posed by the overlying encrustations of oil and lime that promised to make further recovery overly laborious and delicate. 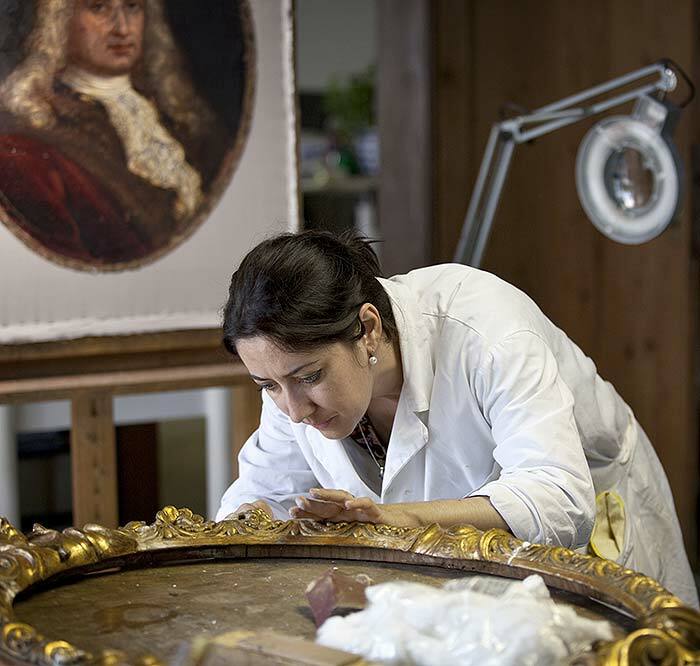 The work, conducted in the restoration laboratory “A. 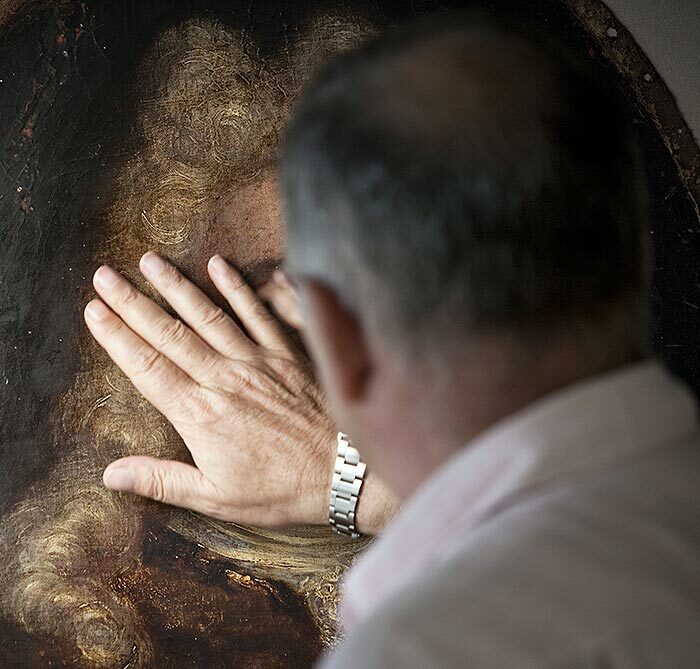 Libralesso”, involved also the canvas panels framing the portraits of the ten Illustrious Men of the Serenissima Republic of Venice and their rich gilded frames. 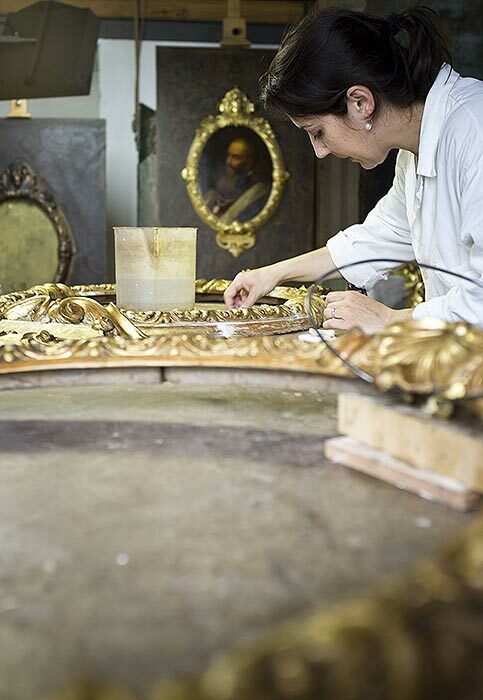 The restoration work, completed with mastery without forcing the treatment of surfaces or supports, brought back the last Florian Room to its original charming colours.